My nickname was Skinny Vinny in junior and high school because all I did was sit at home and play video games. 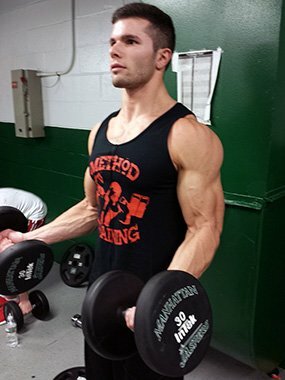 I didn&apos;t discover my passion for lifting until I played football as a high school junior. I started doing basic lifts and didn&apos;t worry about macros or nutrition. As my gains increased, so did my interest in bodybuilding science. I started researching on Bodybuilding.com and realized the importance of dieting. With this newfound knowledge and advice, my results multiplied. By my junior year of college, I put on 30 pounds of muscle. Lifting daily and eating properly was amazing, but I felt like something was missing. I pinpointed the issue in March 2013 while I was working out: I didn&apos;t have a defined goal. I always wanted to motivate and inspire others and thought what better way than to land a magazine cover. If only one person picked up the magazine and was inspired by me, it would be worth it. 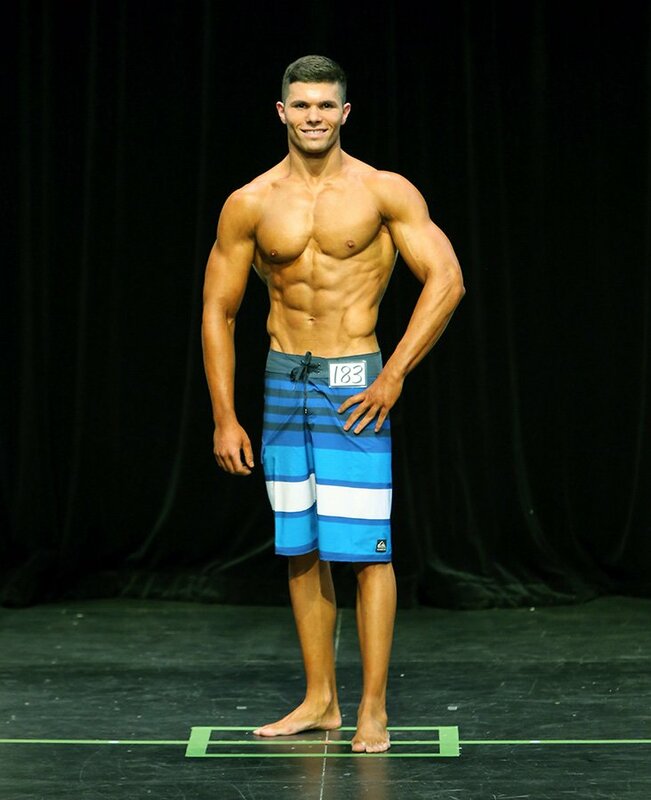 So I decided to compete in men&apos;s physique to make my goal a reality. When Vinny isn&apos;t crushing the weights to perfect his physique, he&apos;s absorbing knowledge in the classroom to become a civil engineer! I proceeded to search for a trainer who would take me on provide advice. That&apos;s when I discovered my competition team, Method Training. The founder, Anthony Tumminello, took me under his wing and I competed on June 1, 2013, at age 21 weighing 161 pounds with 5 percent body fat. I finished 6-out-of-16 and was upset that I didn&apos;t place. I realized that strength comes from failure and a fire was lit within me. I promised to keep competing until I achieved my goal and did my best at every show. 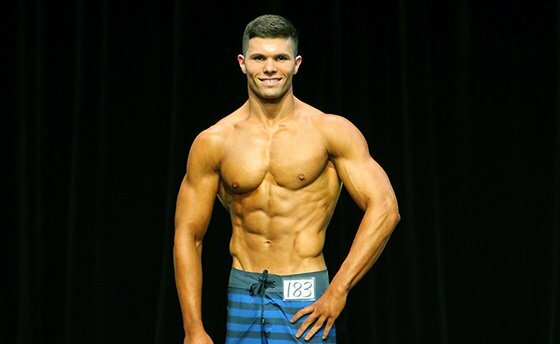 With new motivation, I competed in my second show on November 16, 2013, and finished 11-out-of-24 weighing 164 pounds with 4 percent body fat. I didn&apos;t place, but my physique improved and will only get better. 2014 will be the year I place and take one step closer to a magazine cover, and eventually, the Olympia stage. "2014 will be the year I place and take one step closer to a magazine cover, and eventually, the Olympia stage." I throw in three HIIT cardio sessions per week and do steady-state cardio depending on how I look and feel. My on-season meal plan is very strict. On every fourth day, I double my carb intake to retain size and increase energy. "Without facing adversity, you can&apos;t grow and adapt." Bodybuilding is essential for self-growth. The discipline and determination that comes from lifting and dieting helped me learn what it means to succeed. Bodybuilding showed me that failure isn&apos;t awful; it&apos;s positive and can be used to my advantage. Without facing adversity, you can&apos;t grow and adapt. I admire athletes with solid builds, but seeing Arnold Schwarzenegger really accelerated my motivation. Greg Plitt was a big factor to formulate my goal to land a magazine cover. I realized that if I had the right mindset, I could accomplish anything. My workout partner and close friend is a constant source of inspiration. He supports my fitness goals and motivates me to push past my breaking point. My trainer and team are added inspiration too. They always give me advice and share training knowledge. I&apos;m preparing for back-to-back shows in June 2014 to place and nationally qualify. Once I&apos;m nationally qualified, I&apos;ll receive my pro card, and eventually compete in the Olympia. With the help Anthony Tumminello, my trainer and Method Training founder, I will land a magazine cover and inspire others. I plan to receive my personnel training certification and spread my knowledge and motivation to others who started like I did. Mindset is everything. If your mind can, your body will follow. Be confident and never doubt yourself. The second you do, you&apos;re fighting a losing battle. My favorite professional bodybuilder is Kai Greene. Reading about his story and where he came from is inspiring. I could listen to his motivational videos for hours and have at times used them to get off my chair and into the gym. His physique is incredible and he always improves. I acquired most of my knowledge about fitness from articles on Bodybuilding.com. When I first started, I spent hours sitting in front of my computer absorbing as much as possible from the site. Bodybuilding.com played a big part to create my physique. Ordering supplements is very easy and Bodybuilding.com always has the best prices.